When I prepared the hot fudge pie earlier this week, it was as a mid-afternoon treat. However, I did not have any ice cream on hand, nor did I think we needed to serve it with a scoop to finish off this dessert. The cake-pie-brownie was warm, gooey, and adequately chocolate but not overwhelmingly so. In retrospect, I do think that ice cream would complement perfectly the warm cake, melting enough to emphasize its actual fudgey nature – kind of an upside-down hot fudge sundae. Thus, we must adhere to Jessie’s admonition, “Serve with ice cream.” Do not deviate. I should have known better. My grandmother did not mince words. I refrigerated the left-overs, which become quite chewy – again, like a very wet brownie; this makes for a toothsome and satisfying snack, if the whole cake has not been devoured while warm. Funny, how baking this dish and thinking about hot fudge took me back to the ice cream parlours of the past. To paraphrase the great French poet, François Villon, “où sont les glaces d’antan?” – where are the ice creams of yesteryear? They are alive and well, at least in the windmills of my mind. I do like the fact that Jessie’s instructions indicate that the dessert will be ready, if you put it in the oven, when you sit down for dinner. The 25 minutes it takes to bake would be a good interval for dining, so this is a good dish to prepare well in advance for a dinner party, which could be refrigerated until dinner time, put in the oven, and, et voilà, hot fudge pie for your guests! Jessie certainly enjoyed making simple dishes, such as this hot fudge pie, and it is a fine homespun dessert to finish off a comfort food meal. Just be sure to include the ice cream for the full topsy-turvy hot fudge sundae experience. Melt butter and chocolate (I use a microwave – pretty much just for this task – at 50% power at 30 second intervals, just until the chocolate is almost entirely melted, and then stir). Cool. Mix sugar into beaten eggs, combine until sugar is fully incorporated. 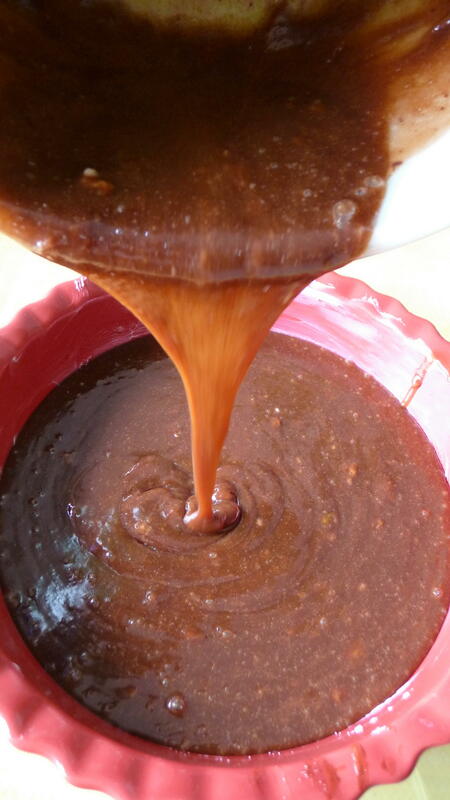 Mix in butter-chocolate mixture until completely blended. Add vanilla and milk. Stir well. Fold in flour, mixing just until no white streaks remain – do not overbeat. Serve with ice cream for the full upside-down hot fudge pie treatment. 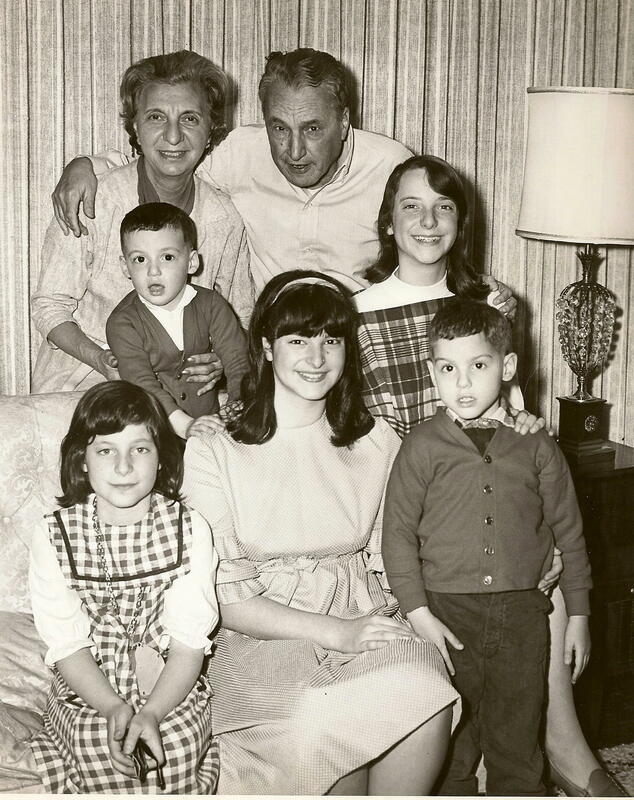 This entry was posted in Baking, Cakes, Dessert, Pie, Recipes Misc, What Would Jessie Dish and tagged Cake, Chocolate, Dessert, hot fudge, Pie, Vintage Recipes. Bookmark the permalink. Oh Dan. Oh Dan, Dan, Dan. Jessie’s done it again! I’ve mentioned my aversion to chocolate, but this looks too good to pass up! Kinda like her/my-variation-that-are-very-similar-to-her chocolate brownies… I will be making this soon. And, more importantly, I will be serving it with ice-cream. Don’t mess with Jessie – she knows what the dealio is, yo. Her pie looks delicious too. It kind has the appearance of a shiny brownie top with the sides looking like a true fudge pie-nice! All is well here by the way, except for that oil washing up on the shore (sigh). Hope your’e doing well too, Dan. Awesome recipe. It is kind of like a Swedish brownie. Swedish brownies do not have baking powder in them vs. American brownies. But this look amazing. I will have to try it out. I love the old hand written recipe and your photos, nice tasty recipe too. I enjoyed checking out your blog! Looks amazing…great photo! I just recieved a very old notebook of my grandmother’s recipes. I love having her handwritten recipes…feels like she is right there with me in the kitchen. I love the idea of an upside down hot fudge sundae. I love the melty part at the bottom of the dish the best. My Mom made this once a week when I was growing up. It was our special after school treat. I saw this on pinterest and knew it must be the same recipe just from the picture! I make it a few times a year and it always reminds me of home. I was considering this for the weekend but have no unsweetened chocolate, just chocolate chips. It will have to wait until the next shopping trip. Looks delicious though. I made the fudge pie. It was really thin. Do u double recipe to get that thickness? Hi, Joycelene. You could double the recipe, but I did not for the thickness, as presented. I have the same recipe in my mother’s handwriting as Jessie’s grandmother except it calls for 2T cocoa powder. This is always an easy last-minute (late-night)sweet treat and I always have cocoa but not always chocolate squares. Hi, Diane. You are correct – it is “pie” sans pie crust. When I took it out of the oven, there were two layers – a white on bottom, and chocolate on top… what did I do wrong? this happened to me too!…i was thinking maybe i overbeat the eggs?..I’m not sure but I ate it anyway and it was sooo good. I will totally try it again. I’m glad I’m not the only one this happened to… Mine also had a huge bubble on top I had to pop. Weird. OH MY GOODNESS!!! I’m in happy chocolate shock! lol. I saw this on pinterest, and made it tonight. I added a pie crust because of personal preference. It was perfect! I asked my boyfriend how he rated it on a 1-10, he gave it a 9 1/2! (He isn’t a dessert lover like myself, so a 9 1/2 is a big deal) Thank You so much for this wonderful recipe! Can’t wait ti try this! Thanks hr sharing!!! This looks absolutely amazing! I cant wait to make it! Thanks for sharing! This is such a nice and simple dessert!! My husband is thrilled with it. I did have to nearly double the baking time to about 45 minutes. I have a thermometer in the oven and it was definitely 350f. I took it out, let cool for about 10 minutes and it was still liquid inside! Put it back for another 10 minutes and then another 10. My poor husband was being TORTURED!!! I live in quite a humid climate, don’t know if that was the issue… anyhow… thanks for such a nice and easy recipe! I had to laugh as I read this tale.. she must have been related to my mother. Mom poured real maple syrup in a glass and drank it!… and usually not just one glass. She made a mean hot fudge sauce for over ice cream… I still make it today. I am going to make this recipe.. because I have a really bad sweet tooth today and have been looking for something.. this is it.. and I have ice cream! Thanks so much for sharing. 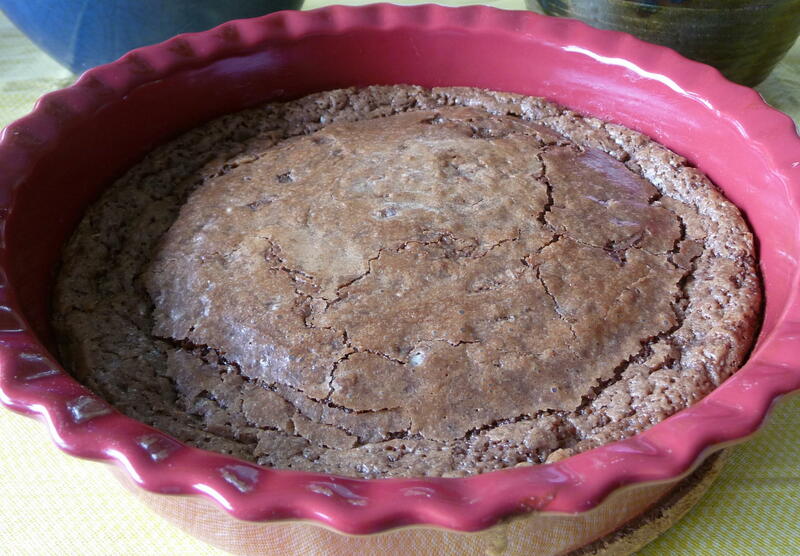 I have baked a fudge pie recipe for years (my sister sent it to me….something that her husband had made)…..it looks just like this one….wonderfully rich and delicious! I will try this one….my recipe called for cocoa instead of the chocolate squares. Enjoyed so much the stories and pictures! I cherish the family recipes passed down and use them quite often! 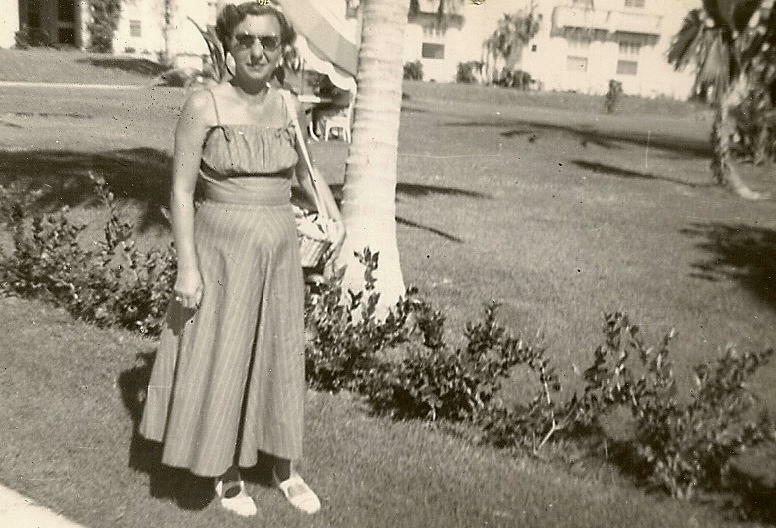 I am utterly taken back by this brilliant idea of your grandmother’s recipes and stories. I LOVE that you’ve honored your grandmother this way. It’s just beautiful. Oh, and the pie…WOW, looks fantastic!! I have happy tears in my eyes!! For years I have searched for a recipe for a pie my mom made when I was a child. She doesn’t seem to remember it, and we haven’t found the recipe in her books or recipe cards. I’m pretty sure this is IT!!!! If it’s not, I think I will end my search here because it looks delicious and my heart is already happy from coming across this! Thank you!! I have been wanting to find this recipe too….. thanks to pinterest & Jessie! ohmygosh – talk about memories! The Ting-a-Ling got me through many a chocolate craving in the late ’60’s during my art school days. And, I am a sucker for handwritten granny recipes will definitely be trying this one. This pie looks so delicious, and I am going to make it. What brings me to comment is the fact that your Jessie’s handwriting on the recipe card (which I love, by the way) looks EXACTLY like my Mom’s did! 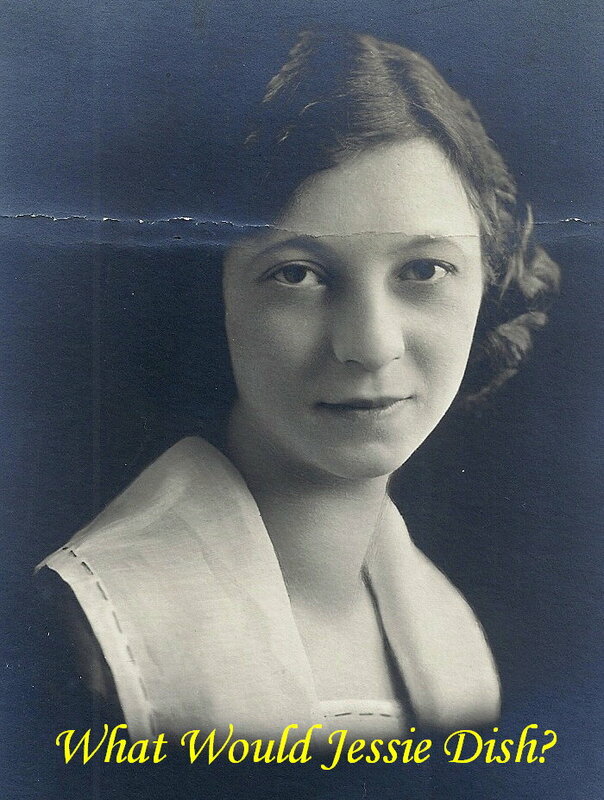 And to make things even nicer, today, July 10, 2012, would have been my Mom’s 98th birthday! She passed away about 40 years ago. I don’t usually believe in coincidences but this is a good one. Thanks for triggering the nice memory! HELP! Please tell me what I’m doing wrong or missing. I’ve made this yummy pie 4 times in the past month (it doesn’t last long with my family). It turns out very good but it doesn’t look anything like the pictures posted. I don’t get the flaky, brownie crust. It is just flat with mini holes all over. Any suggetions? I’m following the recipe exactly except using Pam for baking on the pan vs butter. Could that be it?? I have to try this…If for no other reason that I love finding old recipes that my grandma had written down. Looks and sounds delicious, I can not wait! My grandma made this for me one time. I about died over it! That gooey consistency is so good. It’s fantastic. Made your recipe today and it is identical (and so EASY). Thanks for the memory. I’ve always said my last meal will be a hot fudge sundae. Can’t wait to try this! yep, this is a Swedish Kladdkaka! I adore it. Totally yummy – but mine too had the white layer on the bottom and the chocolate on top? made it for the second time last night….and got the two layer thing again. this time it wasn’t quite as pronounced (it was brown instead of obviously white) as the first time, but it was still in two layers. we keep eating it because it is still delicious but i really wish i knew what i was doing wrong. Could u use unsweetened chocolate chips instead of the squares? I have this in the oven as we speak. My hubby LOVES chocolate so I can’t wait for him to try this! My mom made a very similar dish . . . could be the same one! Thanks so much for sharing. I can’t wait to make it! Can’t wait to make this! A place called The North End just outside of downtown Memphis used to serve something exactly like this and it was AMAZING! I went to college nearby and it was always a decadent treat. So glad to be able to recreate it. I have a very similar recipe that my mother always made. My sister renamed it Annie’s Fudge Cake Squares. Only difference was it has 1/2 cup flour, 2 squares of chocolate and 1 cup pecan halves. Very easy to double. Very fudgey!! I get rave reviews from friends when I bring to events. I’ve always thought it must be a very old recipe. Great piece you’ve journaled about! I absolutely love that you have this recipe from your grandmother. I LOVE chocolate, but I think the sentimental aspect of this I LOVE even more than the recipe (which I plan on making very soon). What a lovely tribute to grandma to share and make her recipe. The old pictures including the actual hand-written recipe are very sweet. I love recipes that are simple and good. Pinning this and giving it a try! Dear Lord, I have died and gone to chocolate heaven! Making this weekend, it look like one of my Granny’s recipes and she was the best cook! Just came across your blog, love it! Thanks for sharing this yumolicious recipe!! This looks so good…. I’m going to try it with adding oats to it. Thanks for reminding me of this recipe. I have made this and not sure if I still have a copy of it. It is the bomb-diggity both in ease and flavor!!! Have made this twice now in less than a week and both times it’s disappeared in a flash. I did not have any of the problems that people have posted. I had all the ingredients already in the pantry and it’s so quick to make. Love, love the story that went along with it. Thanks! This was my mama’s favorite dessert recipe with minor variations! Our entire family adores it and asks for it often. Loved reading your posts! We made this delicious pie tonight and I’m sure if one of us had been left alone with the pie pan, it would probably have been licked clean. Thank you for this wonderful recipe. I especially appreciated your stories about your grandmother. Very beautiful. She seems like a lovely woman, and your memories are beautifully written. Thank you for sharing. We tried this fudge pie recipe a couple of weeks ago and loved it! For some reason we had to cook it for about 35 minutes (it was still very gooey in the middle – yum – but liquid at 25 minutes), but otherwise your recipe worked great for us. We are about to make it again for our big family Thanksgiving dinner, so you know it we really liked it!!! Thanks for sharing. Made it, served with whipped cream and was wonderful! 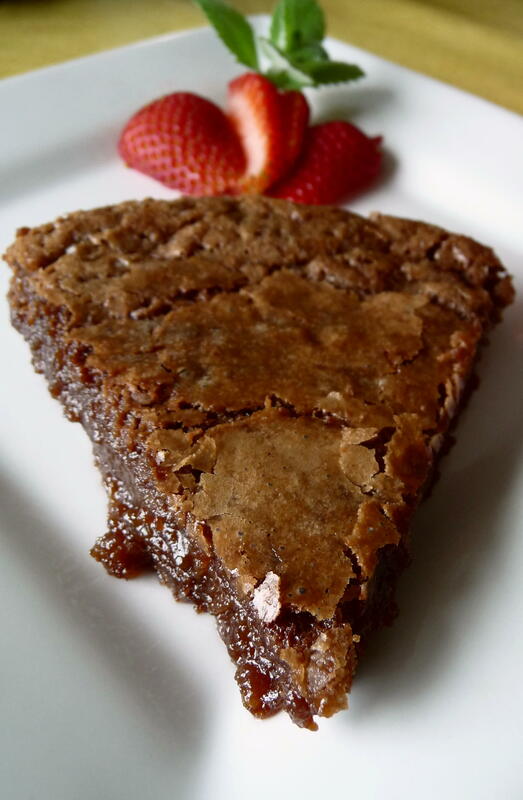 This is chocolate Chess pie. It’s a dessert that is popular in the south. I learned about it from a neighbor who was from Tennessee. She made one and we gobbled it up. My sister-in-law, who lives in NC, makes the chocolate version for pie contests. Look up chess pie and you’ll find the original before the chocolate is added. It reminded me of the gooey stuff in pecan pie without the pecans. What a beautiful story; thank you for sharing it with us! Wow! Such an EASY recipe for such an amazingly delicious dessert! 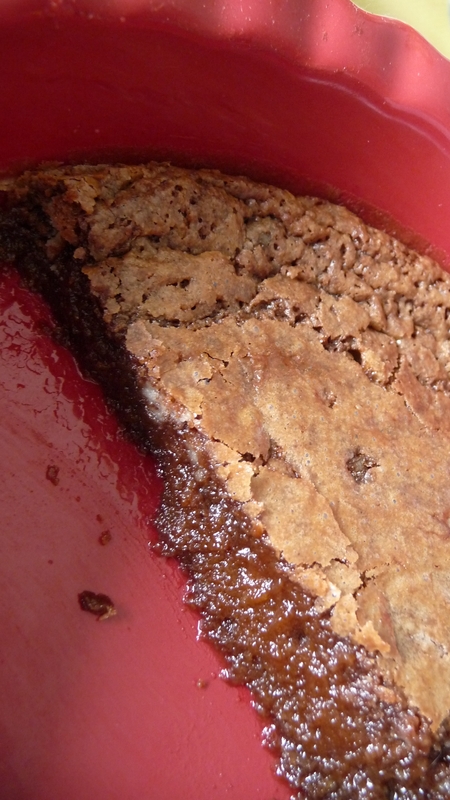 My family loved the moist texture of this pie/brownie fabulousness! I loved your story…made it taste just that much sweeter!! Thanks for the newest entry into my plethora of recipes!! Love the recipe and the story that goes with it. Can’t wait to try Jessie’s recipe. I live in a Chicago suburb and treated myself to a Gerties hot fudge sundae a few weeks back. Fabulous. Thanks for sharing. Can this be doubled and baked in a 9 x 13 pan? It was really gooey in the middle, so I don’t know how well that would work. But maybe someone else has tried it! Could this be poured into a prebaked pie shell do you think? Such a wonderful recipe, I like the texture very much! This reminds me of my Grammy’s recipes I inherited. Similar handwriting. I will try this hot fudge pie and remember my Gram. Grandma recipes are the best! There is saying in France that says “c’est dans les vieilles casseroles qu’on fait les meilleures soupes”, meaning “in old pots we make the best soups”… I like to rely on old and trusted recipes… I made this fudge pie twice already, an immense success each time! I like to put the uncooked batter (in the baking dish) in the fridge before cooking, I find it to leave it just gooey enough in the center, yet somewhat “crusty” on the side: delicious! (Please excuse my poor English) thanks for the recipe! I made this tonight. It was so delicious. Thank you so much for posting such a quick, deliciously chocolatey dessert! Derby Pie is a trademarked name & is not to be used by anyone else. They go after you if you do. You can buy Derby Pie at the store in the freezer section, at least here in Louisville you can. It is so good. My mother used to make it all the time. I have her recipe. It has choc chips in it. This t!,,,,is a recipe that Southerners call chess pie. We bake similar versions with lemon,and buttermilk. Most are prepared in a pie crust. I’ve never baked it without a crust but I sure will try It ! Thank you for sharing this fudge pie. i got the recipe from a facebook friend. I will be making it again! i received a recipe box of hand written recipes when my grandmother passed. i have enjoyed seeing her handwriting as much as the recipes!!! i miss her so much but these recipes remind me she will always be with me!! thanks for the original photos, makes the tecipe more personal!! cant wait to try it!! I’m pretty sure this is the very same recipe MY grandmother used! It is such a yummy treat. I made this last night for dessert and it was DELISH!!! So easy to make and was a big crowd pleaser! I will definitely be making this again and trying other recipes from this blog! Thank you! I must have done this wrong. My batter was very thick and I don’t think the insides are runny or gooey. I tink it turned out more like a chocolate cake. Maybe I overmxed the flour in or maybe I didn’t let the melted butter chocolate mixture cool off enough. I think it will still be good though. Thinking I might have to frost it like a cake. Maybe my problem was that I had to use a 9 inch pan instead of 8. Would that really make that much of a difference? Do you think I could use gluten free bisquick instead of the flour?? My blog is also dedicated to re-creating my grandmother’s recipes. I’m glad to see someone else out there is doing the same. We shouldn’t forget the good stuff, no matter what part of the world we come from. So sick of the cake mixes, canned pie fillings and cool whip. Keep up the good work! I’m wondering—on the original handwritten card the amount of butter says 1/4 lb. However on the typed version it says 1/4 cup. Cann you clarify that for me? Dying to try it. Hi! If I cook it a bit longer, would it look less fudgey and more stiff (brownie like)? Oh wow yum, hot fudge pie looks and sounds incredible! I found this recipe while scrolling through Pinterest and it took me back to childhood. At least once a month our church would have a pot luck and everyone would bring their favorite recipes. For dessert someone always brought this chocolatey pie! I have been looking for this recipe for years as I have missed tasting it’s fudge(y) gooeyness. I can’t wait to create this for my children to experience as well! We all love chocolate and could never live without it! Thanks for sharing, I just might have to make this tonight! I can’t wait to see what other treats you offer up! I have made this twice and it has been a HUGE hit! Plus, I love that it is SO simple! A great-last minute dessert too! Thanks for sharing this! Its in the oven now!!! found you on Pinterest!! Hi from Wales, UK! just saw this on pinterest and had to have a look 🙂 🙂 🙂 I’ll be making this for my American husband who loves chocolate, and this is probably just what his grandma would have made (and she used to to bake him his own lil “lamby cakes” when he was small…spoilt child…!) I like the pix and the history of Chicago ice-cream parlours: I’ve always imagined them them to be fantastic cool summery places, particularly if you have a sweet tooth, which my husband definitely has. Will be trying this recipe asap and probably adapting it in the future: adding coffee or orange (chocolate orange – yummy!) or rum flavouring…the possibilities are endless, yay! I remember well those hot fudge sundaes with the fudge served in the little stainless steel pitchers. In Lansing, MI they were available at “Holly’s” downtown where you could stop for lunch and have this incredible dessert!! Wish I could find one again! Haven’t had that kind of hot fudge sauce since then and we’re talking back in the 50s and 60s. Thanks for this post! I just made your pie with a graham cracker crust. Turned out very nice. We garnished each piece with cool whip and fresh sliced strawberries. I did have to add 20 extra minutes to baking time. Easy to make and delightfully fudge-y!!! 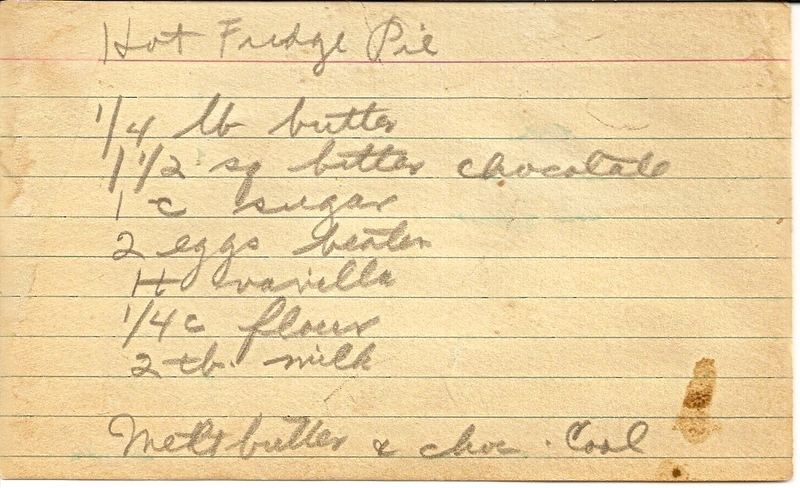 I have a fudge pie recipe exactly like this from my great-grandmother, except that she wrote to put it inside a pie shell. FAB-U-LOUS! Definitely serve with vanilla ice cream because this is RICH. So yummy and so easy! Thank you for the recipe. Thank you so much for sharing something so special. I have a cookbook I received after my mother’s death that has handwritten notes on certainrecipes. I only assume these were her favorite for “entertaining”. I enjoyed the story that accompanies your grandmother’s recipe. I too, am from the south side of Chicago and remember several of the shops you mentioned. I used to walk to Cunis’s ice cream parlor as often as I could afford to. Delicious candies and ice cream! My mom’s recipe cards look just like your grandmothers. The handwriting is nearly identical! Thanks for the recipe and stroll down memory lane. I can’t wait to make this! I had a quick question though (novice baker here) – to what degree are the eggs supposed to be beaten? I know there’s a couple different types (lightly beaten, soft peaks, etc) and I don’t want to mess this up, because it looks so delicious! Thanks! It’s baking now! It was bubbly so I put 10 more mins on it. Still not baked! Any idea? Made this tonight & it was so delish! My 5 year old helped make it and everyone loved it. Think I may have needed to let it cool a bit longer because it didn’t come out in slices but we didn’t care. Thanks for the quick and tasty receipe! I have now made this several times and every time it is a show stopper!! Thanks for sharing it is amazing! Can you make the batter a couple hours earlier and leave it in the fridge? I want to make the batter and then put it in the oven when we are eating but I don’t want to ruin it. What do you think? Just wanted to say “THANK YOU”!! This pie haunts my dreams. LOL. It is served at a little diner here in Texas and I adore it. Now I can make it at home and avoid the drive! So awesome! Thanks for sharing ! My family and I just finished trying out this amazing pie. Wow! We loved the ease of the recipe and the history behind it. Thank you for sharing this and making our evening special. We loved the hot fudge pie! My husband finished it off last night – a happy man! I loved the memories and pictures even more! Thanks for sharing. This looks awesome! I am a big fan of my grandmother’s recipes. They are always delicious. Making your Hot Fudge Pie today and hope it turns out for me…. this looks great….cannot wait to make it! thanks for sharing it! Just made two. One to take for our stock show concession stand and one for us to try. Accidentllay ate a quarter of it right out of the oven. Oops. DELCIoUS! Just put this in the oven. Judging from how good the bowl tastes (yes, I always lick the bowl) it will be delicious! I’ve had this same pie before! The only difference is they actually cooked it in a pie shell… It is the best with ice cream! This was such an easy, chocolatey pie that I am making it again. And yes, I have to lick the mixing bowl…I know it’s taboo now, but I just can’t help myself! Thank you for sharing. I just wanted you to know that I ran across this recipe on Pinterest and its quickly become a staple in our dessert rotation. (Yes we have a dessert rotation, no we are not ashamed!) I love this recipe and I always give credit to your Grandma Jessie! Thank you for sharing a little slice of your home with all of us. Looks very good. I definitely will make it. I live in Chicago and I must try this receipt it looks good. My mother-in-law made something called fudge pie which was and is a family favorite. It looks exactly like your pictures. Jenny told me she got the recipe from an old cookbook that had recipes from famous restaurants on the Mississippi. We’ve lost the book but not the recipe. You are right that it’s perfection to eat it warm with vanilla ice cream.